The name India conjures up vivid images of rich culture, classical dance forms, colorful festivals, breathtaking art and exquisite cuisine to name a few. But there is more to incredible India than meets the eye. India is one of the most ancient civilizations in the world and derives its name from the Indus River Valley which was the home of early Aryan settlers. Today India has come a long way from its imperial days to being the world’s largest democracy and the 7th largest country in the world. 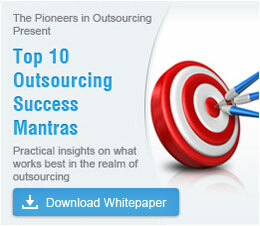 India is the world’s most preferred outsourcing destination with China and Malaysia following closely behind. India is currently providing IT and ITES services to over 90 countries. AT Kearney, recently released a report where India is ranked the highest in terms of the availability of talented, skilled and experienced workforce. India has a favorable tax and regulatory environment along with a stable political government and intellectual right security. Low labor and infrastructure costs have also made India an attractive offshore location. As a global customer, you are curious about information on India and don’t know where to begin. You wish to outsource to India and tap in to the advantages that India offers, but you need guidance in taking the first step to starting a new business in India. You are worried about travelling in India and wish to know more information about business visas, phone codes, foreign/ Indian embassies or business travel in India. In this section, get all the information you need about India, to make doing business in India easy and smooth. Get ready to experience Incredible India. Your voyage to India starts right here. Contact us with any questions you have and we'll be happy to get back to you!